Amy E. Robertson is a Seattle native who has long been obsessed with travel. She studied in Boston and Madrid for her bachelor’s degree, and upon graduating took a job with an international consulting firm. This position led Amy to a life of globetrotting — she traveled to more than 50 countries in less than three years. She then returned to school, earning a master’s degree in development studies at the London School of Economics, where she also met her husband, who hails from Italy. After working in international aid for five years in New York City, Amy and her family began life as expats in Ecuador, brought there by her husband’s job with an international agency. 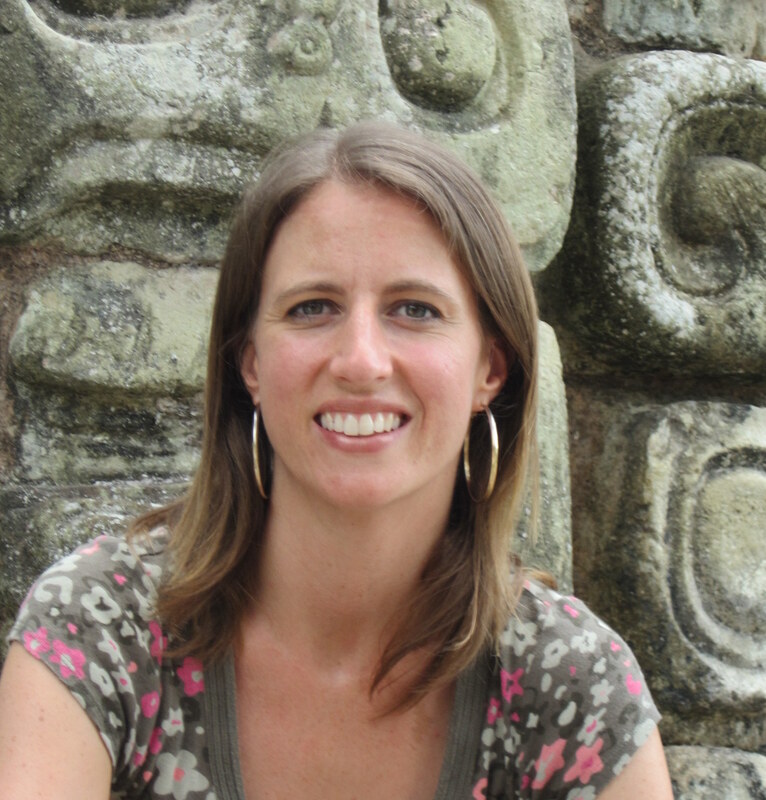 Amy made the career switch from development to travel writing while in Ecuador, a livelihood that was easy to bring along when they made the move to Honduras in 2007, where she and her family resided for nearly five years. Amy moved to Beirut, Lebanon, with her husband and two children in 2012, and spends three months a year divided between her family’s hometowns: Seattle, Rome, and Messina, Sicily. Amy is the author of guidebooks for Honduras, including Copán and the Bay Islands, as well as on Volunteer Vacations in Latin America, all published by Moon Handbooks. Her writing has also been published in Delta Sky, National Geographic Traveler, Christian Science Monitor and Travel + Leisure, among others (see links below). She is a contributing editor for the online travel magazine TransitionsAbroad.com, and a regular contributor to the Lebanese magazines Hospitality News Middle East, Taste & Flavor, and Lebanon Traveler. Travel to Beirut is much safer than the international media and State Department warnings lead meany to believe. While the bad news that are reported out of Lebanon are true, they are one small part of what life is really like, and I find daily life in Beirut safer than daily life in Rome, New York, etc. Tripoli has had more security issues than Beirut, and I have yet to visit, but locals (your colleagues there) are the best ones to comment on the current situation, and I would think it’s possible to visit Tripoli now also. I will email you privately with more details. Enjoy Lebanon! Hi Rachall, good luck on the move! There is a facebook group called Expats in Lebanon. I also suggest you check out the website for InterNations and their Lebanon group. There are many people like yourself in the group – people of Lebanese descent who have lived overseas. Enjoy Beirut! Hi Lindsay! Would love to connect. What’s ur email (WordPress isn’t allowing me to see how to contact you! I want to travel to Beirut mid September but know there are travel warnings. I am from Toronto Canada and live in UAE. Would you consider visiting Beirut safe at this time? Hi Natalie, the travel warnings have been in place for years. Although there have been recent protests because of the garbage issue, Beirut continues to be a place that is safe on a daily basis. It’s true that something could erupt at any time – but it’s not common and you’d have to be darn unlucky to be at the right place at the right time and end up affected. You could say the same for many cities/countries unfortunately. Come enjoy! Thanks for following Travel Bugg. Also, thanks for sharing my blog on outbounding.org. I’d never heard of the site before, but it looks like something I would be interested in. Looking forward to reading more of your stuff. You’re welcome, and I look forward to reading more of yours as well! I’m an American visiting Beirut for a month and taking Arabic classes. I just found your blog and look forward to reading more of it! I’d love to meet some local expats while I’m here, and I’m looking into some of the links you’ve mentioned here like Internations, and the Facebook group. If you have other recommendations about how to get out and meet folks, I’d love to know! Thanks! Welcome to Beirut! What are your interests? Where are you studying Arabic? Many local expats study at Saifi Institute, which also has a lively quiz night once per week, and a hostel, bar, etc, so could be a good place to meet folks. I will send you a private message. No problem – I always advise people who want to travel to countries like Jordan, Lebanon and Egypt to check in for the latest situation update, and that’s what you’re doing. It’s a smart thing to do. I am not sure why you mention a flight over war-torn countries. If flying in from Europe, you would not fly over Syria. The only flights that go over Syria nowadays are with Middle East Airlines from Beirut toward other destinations eastward (such as Jordan or Egypt), and they fly at an extra high altitude because of the problems in Syria. Easy to avoid if desired by taking a different airline. But a flight with any airline, including MEA, from Europe to Beirut would not fly over Syria. There are very few places in Lebanon that it would not be safe to drive through. I would avoid the neighborhoods of Tripoli where there has been fighting. That’s it. There have not been any problems in my four years living here on the airport road to the center of Beirut. That is not an issue. And it is only a 10-minute drive without traffic, half an hour if there is traffic. Tensions are higher right now than at some points during my four years here, but not at their worst either. I would not hesitate to tell a friend to come visit. I saw this interesting map yesterday online, which maps the countries around the world that the UK Foreign Office rates as having a “high” risk of terrorism. Of course Lebanon, but also Spain, Australia, and 37 more. Kinda helps put things in perspective I thought. Really good to hear all of that, and all makes total sense. The brain is annoying I guess and doesn’t see risk in a proportionate way, mine particularly at the moment. Thanks for your thorough response. I’ll definitely be coming to visit him. I’m a student studying Arabic from the US and looking to join an international consulting firm in a year. I would love to hear about how you got a job there and how that was different than applying to offices in the States. I recently relocated from Beirut back to the US, but while I was in Lebanon, I worked as a freelance writer and consultant, mostly on a remote basis for clients in the US and elsewhere. It is difficult to find a job in Lebanon that will offer a work permit – it is better to line up a job prior to going there. Work permits are generally reserved for senior staff. I want to thank you for your blog – I have been trying to find out information about living in Beirut as we might go to live there with my family next year (for a couple of years, because of my husband’s work). Your blog is great and it has given me a lot of information. However, my concern is mostly about the schools in Beirut: we are from Northern Europe and I am trying to find a good international school for my kids (who do not speak English yet) – which means they should need some help with learning English. Can you suggest any schools? Would be happy to hear about your experiences regarding international schools in Beirut (preferably via email, if possible for you?) Thank you so much in advance already! Most welcome! I will send you an email.